Si Si Han, the 46-year-old woman who was killed Saturday when a box truck rammed into a Bay Bridge toll booth where she was working, wasn't supposed to be at work that day. “A co-worker had called out sick, so Si Si stepped up to fill the shift," according to her husband Ryan Saw. "While the shift time originally started at 5:30 a.m., she was asked to come in earlier, starting at 5 a.m."
Han, a 10-year Caltrans employee, died when a truck, driven by Daniel Berk, crashed into vehicles in line to pay toll – triggering a chain reaction – and then veered into toll booth No. 14 around 5:10 a.m. Han was declared dead at the scene. 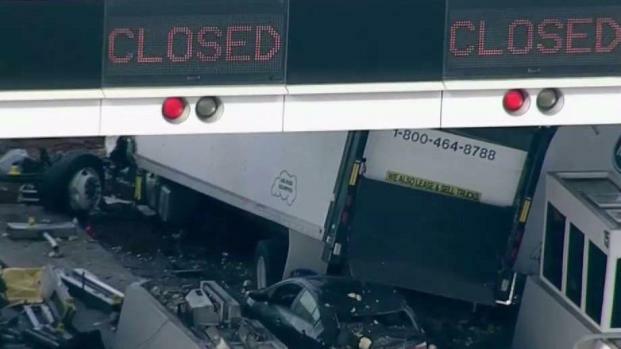 One lane at the San Francisco-Oakland Bay Bridge toll plaza remains closed Monday following a crash that killed a toll taker over the weekend. Pete Suratos reports. Berk, 32, of Foster City, was ejected from the rented truck and landed on the ground after the collision on the Oakland side of the bridge. He was hospitalized with major injuries and arrested later in the day for allegedly driving under the influence and involuntary manslaughter. A GoFundMe campaign was launched Tuesday to help Saw and the couple's 10-year-old daughter, Ashly. Saw, of San Lorenzo, created the fundraiser, which has a goal of $25,000. Born in Myanmar, Han – who Saw said was always ready with a “sweet smile, generosity and kindness” – moved to the United States in 2002. It was here that the pair got married. They had their child in 2007 and also moved Han’s mother into their home in the same year. All donated funds during a time of “inexpressible loss,” Saw said, will be used for funeral expenses and to help him ensure that Ashly is able to pursue a higher education. As of Tuesday, seven people have raised $450. 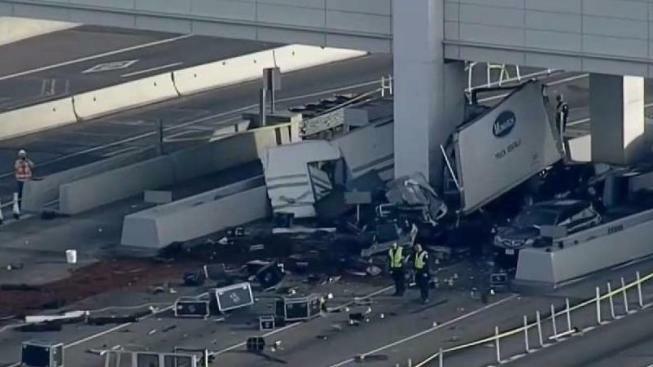 The driver of a truck that crashed into a toll booth on the San Francisco-Oakland Bay Bridge, killing the attendant, remains hospitalized with serious injuries, and four lanes at the toll plaza remain closed indefinitely for toll booth repairs. Sergio Quintana reports. 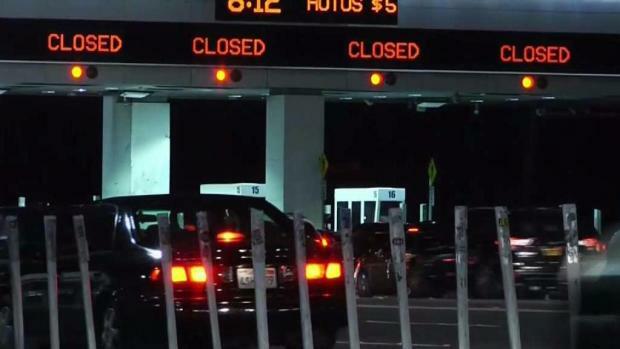 One lane at the Bay Bridge toll plaza remains closed.